Ananya Roy and her colleagues at the #GlobalPOV Project, an initiative of UC Berkeley’s Blum Center for Developing Economies, have just released a stunning new illustrated video that explores the business of poverty. 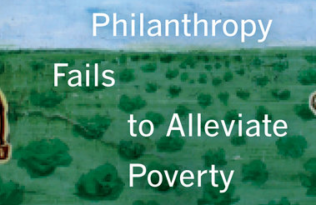 Roy is the author of Encountering Poverty (forthcoming from UC Press), a path-breaking book that will consolidate a new field of inquiry: global poverty studies. Watch the video to learn about the surprising ways microfinance companies take advantage of the poor, how society tends to criminalize opportunism and innovation only when it comes from the lower classes, and why Roy is skeptical about the time-worn maxim, “If you teach a man to fish…”. Roy looks at what it takes to build a “pro-poor” economy—one that doesn’t profit off the labor, consumption, and debt of the poor. It’s a complex problem, and this project is a great start. Follow the #GlobalPOV project on Twitter, Facebook, YouTube, and its website. 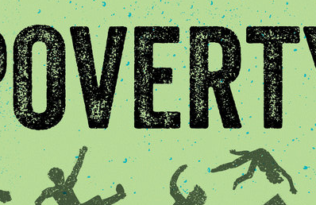 And check back in 2015 for the first edition of Encountering Poverty.